Eduard Douwes Dekker (Amsterdam, 2 March 1820 - 19 February 1887), better known by his pen name Multatuli, was a Dutch writer famous for his satirical novel, Max Havelaar (1860) in which he denounced the abuses of colonialism in the colony of the Dutch East Indies (today's Indonesia). Dekker was born in Amsterdam. His father, a ship's captain, intended his son for trade, but this humdrum prospect disgusted him, and in 1838 he went out to Java and obtained a post as a civil servant. He moved from one posting to another, until, in 1851, he became assistant-resident at Ambon, in the Moluccas. In 1857 he was transferred to Lebak, in the Bantam residency of Java. By this time, however, all the secrets of Dutch administration were known to him, and he had begun to openly protest about the abuses of the colonial system. Consequently he was threatened with dismissal from his office for his openness of speech. Dekker resigned his appointment and returned to the Netherlands in a state of fierce indignation. He was determined to expose in detail the scandals he had witnessed, and he began to do so in newspaper articles and pamphlets. Little notice, however, was taken of his protestations until, in 1860, he published his novel Max Havelaar under the pseudonym of Multatuli. Dekker's new pseudonym, which is derived from Latin, means, "I have suffered much", or, more literally "I have borne much" referring to himself, as well as, it is thought, to the victims of the injustices he saw. An attempt was made to ignore this irregular (for the 1860s) book, but in vain; it was read all over Europe. The exposure of the abuse of free labour in the Dutch Indies was thorough, although colonialist apologists accused Dekker's terrible picture of being overdrawn. Multatuli now began his literary career, and published Love Letters (1861), which, in spite of their mild title, were mordant, unsparing satires. Although the literary merit of Multatuli's work was widely criticised, he received an unexpected and most valuable ally in Carel Vosmaer. He continued to write much, and to publish his miscellanies in uniform volumes called Ideas, of which seven appeared between 1862 and 1877 and also contain his novel Woutertje Pieterse. Dekker left Holland, and went to live in Wiesbaden, where he made several attempts to write for the stage. One of his pieces, The School for Princes (published in 1875 in the fourth volume of Ideas), expresses his non-conformist views on politics, society and religion. He moved his residence to Nieder Ingelheim, on the Rhine, where he died in 1887. In June 2002, the Dutch Maatschappij der Nederlandse Letterkunde (Society for Dutch Literature) proclaimed Multatuli the greatest Dutch writer of all time. 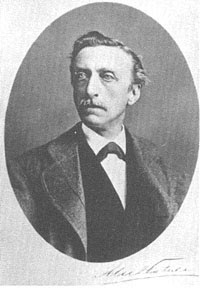 Multatuli's brother, Jan Douwes Dekker, is a grandfather of Ernest Douwes Dekker (also known as Danudirja Setiabudi, an Indonesian National hero). and mention that the license is GFDL (see the link for more information). thanks for remind me about the copyright. you are right,this post was originally taken from wikipedia. i will credit the source.